Seasonal listing. For sale in August. 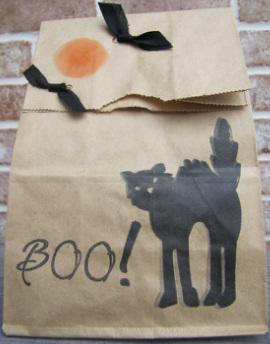 Halloween Treat Bags made from lunch bags. Stamped with black cat, boo! and moon. Ribbon bats added as closures. Back of bag blank.